North Lanarkshire Council has agreed to spend up to £500 on a civic reception for an Orange Lodge, despite misgivings from the SNP. At a meeting of the council’s Civic Functions group, members discussed a request from Bellshill concerning Brother William Hazlett Loyal Orange Lodge 192, which is currently preparing to celebrate the 150th anniversary of the Grand Orange Lodge in Scotland. SNP councillors Lynne Anderson and Stephen Bonnar refused to support proposals to recognise the anniversary with a £500 award, claiming the organisation was “outdated” and “political”. Councillor Anderson, who represents Stepps, Chryston and Muirhead, said: “The Orange Order were official participants in the 2014 independence referendum and I consider them a political entity. The meeting was chaired by North Lanarkshire provost Jean Jones who explained that there was a long history of precedent with the council recognising festivities of this matter. He argued against precedent being the determining factor in whether such an award should be made. 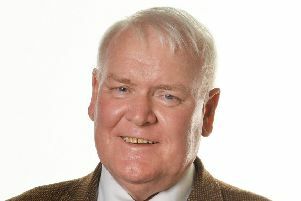 Airdrie South’s Conservative councillor Sandy Watson questioned the idea that just being pro-union would necessarily win favour with the Orange Order. The committee voted in favour of granting the request by four votes to two with one abstention.